You’d like to consider yourself a life insurance novice. You’ve done your research and know the primary factors that underwriters consider when determining your premium: your age, health, family health history, tobacco use, occupation, the policy term and amount. So when you confidently send out that application and end up receiving an unfavourable result, just what went wrong?There are so many things that your insurance company will consider when looking at your application (aside from the usual suspects), and it’s good practice to be aware of them so you can exercise precaution. E-cigarettes are becoming a popular method that people use to completely kick their smoking habit. They are advertised as being healthier than cigarettes, since they release vapour and not nicotine. However, as far as your insurance company’s concerned, electronic cigarette users are still classified as smokers. This is because of the high risk associated with users of e-cigarettes, as it is an activity similar to smoking. Even though there is no smoke released, some e liquid that’s used in e-cigarettes can still contain nicotine. This is the dilemma faced by life insurers, who have no way to determine whether an applicant is a smoker or a electronic cigarette user. As a result, e-cigarette smokers will be looking at the same high monthly premiums as traditional smokers. Policy exclusions aren’t set in stone ? aviation was a common exclusion in the past, but now pilots are insured the same way as any ordinary person. Because of the new and improved features and equipment on planes today compared to those 30 years ago, flying in a plane is definitely considered much safer. Commercial pilots should have no trouble obtaining regular rates. Private pilots on the other hand, can be faced with a higher premium depending on their age and the amount of experience they have. A middle-aged person with many hours could still receive good rates. You are most definitely not protected under your Canadian insurance anywhere outside of Canada. That’s why even for a short trip to the U.S., it’s smart to get the best travel insurance you can afford. It is your responsibility to understand exactly what your travel insurance entails ? that is, the situations where your insurer is obliged to pay. For countries where the Government of Canada has issued an official Travel Advisory, some insurance companies would not honour any claims made on injuries suffered. In any case, it’s important to get a full detailed invoice from the hospital you received treatment from. You wouldn’t want to be trying to obtain an invoice from an ocean away! Many of the most serious terminal illnesses affecting people today are hereditary, therefore your insurance company will definitely take a look at your family’s health history. In most cases, it will include those in your immediate family ? your biological parents, grandparents and siblings. If it is found that you have a family history of possible hereditary illnesses such as heart disease, then you might be faced with a higher premium. It’s clear that insurance companies take the underwriting process very seriously. Therefore, if you did receive previous declines, it’s important to uncover the reason behind it and take action! Submitting a similar application to another insurance company may conclude in the same result, especially if it follows similar underwriting procedures to the previous companies who rejected you. Every life insurance application you submit also lets the insurance company know which companies previously refused to insure you. The less denials on your record, the better! In the case of a decline, the first step is to find out the reason behind it. By your request, insurance companies can mail a letter to your doctor outlining the reasons behind the decision. Once you’ve found out where the true problem lies, you can distinguish whether it was a recording error you need to fix, or an actual health issue. If it is a condition that will persist, you can try looking at non-medical life insurance solutions. Most insurance companies follow pre-determined ratios based on an individual’s income and the total amount they will insure up to. However, some companies have additional restrictions on income as a means of saving them costs. The majority of life insurance companies won’t issue a term insurance policy to an individual whose household income is less than $30,000. This is why it’s so important to find out why you were rejected, so that if the reason merely has to do with income, then your broker can give you the proper advice. Throughout the entire underwriting process, there may be hasty errors or losses in translation that could occur and ultimately affect your insurance application. Based on what time of day you took your exam, you could be coming in after a daily work-out or have just wolfed down a few greasy cheeseburgers. If you’ve been stamped with an irregularly high heart rate or high cholesterol and you consider yourself to be quite healthy, it might have been the activities you did prior which caused it. This is why we advise clients to take their medical exams in the morning, without having consumed food or water. In the case of an underwriting error, we suggest you request a reconsideration and take another exam, if deemed necessary. In order to be eligible for insurance, you must be a Canadian citizen or resident. Unfortunately, non-residents do not apply. During the underwriting procedure, the underwriter might demand an Attending physician statement (APS) from your family doctor. 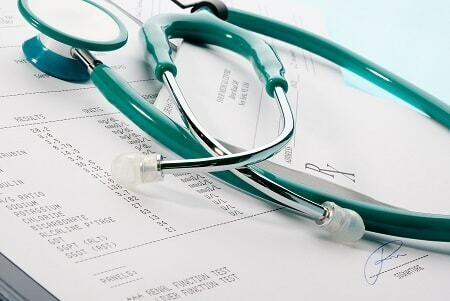 The APS is a report which contains detailed medical information on the applicant, and is completed by a physician who has treated the person seeking insurance. Since the APS is one of the most important pieces of medical background information, the process to obtain it is costly and time-consuming. In some cases, the underwriting cycle could be severely delayed because it could take your doctor weeks, or even months to complete it (that is, if they don’t forget about it)! You’ve been waiting for a response from the insurance company, only to realize that your application had already expired. What had happened? Not only do you need to be responsible for your own application, but it’s just as important to have a good insurance broker as well. If the underwriter has requested more information from a broker about their client in order to make an informed decision, the broker needs to relay this update to the client in a timely manner. Otherwise, the application could time-out and expire.